Specially selected details make Cloud Plush mattress the right choice for pampered sleep. 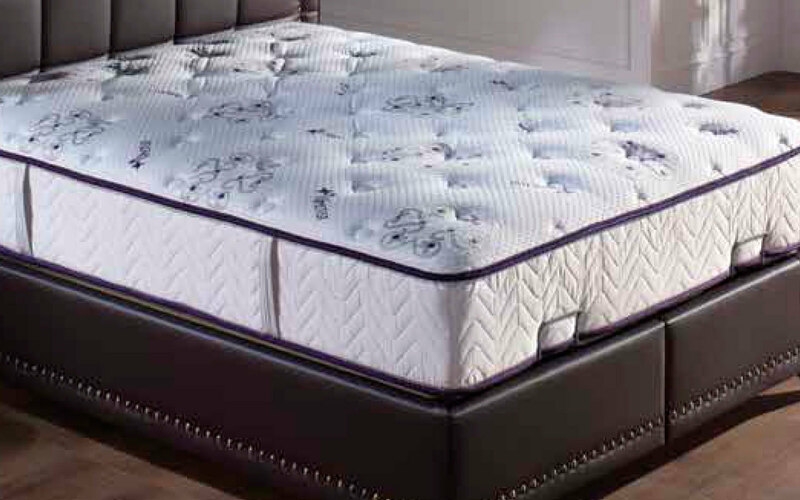 The sleep industry’s latest Amethyst Therapy Technology fabric, covering Cloud Plush Mattress, helps transform the negative energy built up during the day into positive energy during sleep. Amethyst Therapy technology infuses amethyst particles into the soft knit mattress fabric using nano-technology, so you can access your core of calm and achieve deep relaxation. Extra soft pocket spring technology along with extra comfort layers work in unison to provide a soft sleep surface and correct orthopedic support. 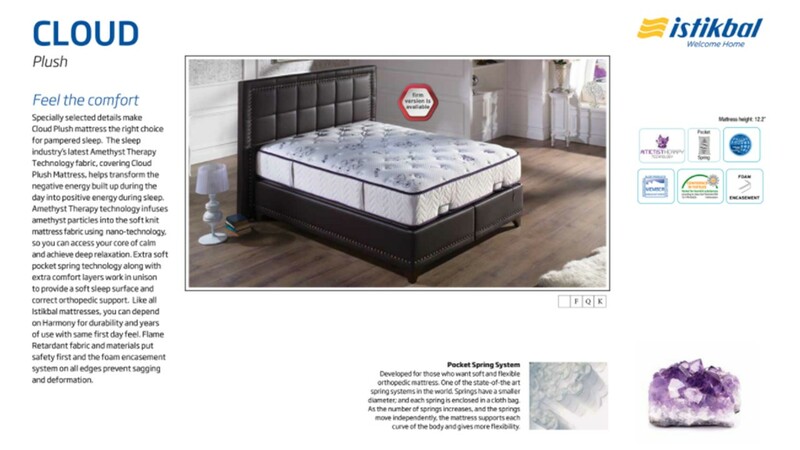 Like all Istikbal mattresses, you can depend on Harmony for durability and years of use with same first day feel. Flame Retardant fabric and materials put safety first and the foam encasement system on all edges prevent sagging and deformation.